There are many crucial political questions in this election season: health care, sexism, racism, income inequality, rule of law, immigration and more, but only one issue has the potential to kill millions and impoverish billions. And yet climate change is the issue that gets talked about the least. There’s a reason for that—and it’s the same reason that so few good songs have been written on this topic. It’s easy to dramatize the issues around sexual harassment and racial violence, for example, because one can readily describe a specific showdown between a particular victim and a certain villain. But climate change happens so gradually in so many places, with so many causes affecting so many people, that it’s difficult to personalize the problem. A single incident can be dismissed as an anomaly; it’s the accumulation of such diffuse incidents that makes climate change so dangerous. Slow-moving, impersonal phenomena such as this are a difficult challenge not only for political organizers but also for songwriters. You can find long lists of environmental songs on the internet, but such lists are usually padded with songs about floods and fires that never connect the event to a human cause. Many of the rest aren’t very good songs. A perfect example of this is Marvin Gaye’s “Mercy Mercy Me (The Ecology),” a track from one of the greatest albums of the 20th century: What’s Going On? The music—Gaye’s piano and voice backed by strings, a sax solo and a haunting echo—is powerful, but the lyrics are no more than childish slogans. “Mercy, mercy me,” Gaye sings, “things ain’t what they used to be, no, no. Where did all the blue skies go? Poison is the wind that blows from the north and south and east.” The sentiments are admirable—nature good; pollution bad—but they add nothing to our understanding. So how does a songwriter engage this issue without lapsing into vague generalizations and simplistic sloganeering? The handful of successful examples suggests that the trick is evoking a personal experience in detailed language and then linking it to a broader trend, so the listener can identify with a protagonist and still understand the larger implications. 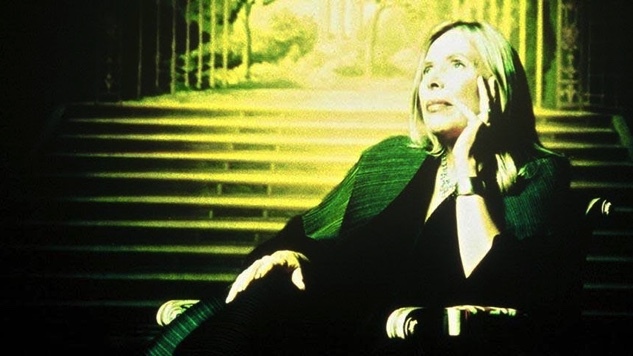 Take, for example, Joni Mitchell’s “Big Yellow Taxi,” arguably the most popular environmental song of all time. This bouncy folk tune, driven by Mitchell’s energetically strummed acoustic guitar, relies on humor to get its point across. Not only have developers “paved paradise and put up a parking lot,” they have also taken “all the trees and put ’em in a tree museum,” where they “charged the people a dollar and a half to see ’em.” There’s no better antidote for sanctimony and speechifying than a good joke. The environment’s deterioration—so gradual that we barely notice it’s happening—is summarized by Mitchell in the catchy refrain, “Don’t it always seem to go that you don’t know what you’ve got till it’s gone.” Is there a personal experience that’s similar to that? Yes, it’s her relationship with a lover, a romance that fell apart bit by bit till one night he got in a big yellow taxi and left forever. The same thing, she implies, might happen to the world we know. John Prine uses a similar approach in “Paradise.” This country waltz begins as a nostalgic memory of visits to his grandparents’ homes in Western Kentucky, a forested paradise where the Green River flowed and “the air smelled like snakes.” But when he tries to go back, his daddy tells him, “Sorry, my son, but you’re too late in asking; Mister Peabody’s coal train has hauled it away.” Here we find the same elements that Mitchell used: humor, vivid language, a personal event and a larger problem. You can observe similar tactics in Radiohead’s “Fake Plastic Trees.” On this track, Thom Yorke proved he could channel Ray Davies as effectively as Kurt Cobain. Yorke conjured up a dystopian vision of England as a landscape of polyurethane palm trees, polystyrene surgeons and inflatable love dolls. It’s a joke, but it’s a joke that turns sour as the plastic crap that fills the stores infiltrates his home and spoils his relationships there. The song begins with an acoustic-guitar strum echoing the Kinks’ “The Village Green Preservation Society,” but that rural nostalgia is slowly overwhelmed—at a pace as creeping as ecological degradation—by Jonny Greenwood’s sci-fi guitars and synths. If Radiohead offers pessimistic view of the future as a warning, the Talking Heads offer a best-case scenario on “(Nothing but) Flowers,” a reverie about a world returning to nature after pollution has been reversed. Over a bouncy, Afrobeat guitar figure, David Byrne sings of a Pizza Hut overtaken by flowering vines and a Walmart replaced by a cornfield. The narrator whines that he misses microwaves and lawnmowers, but the ebullient music contradicts him with the sounds of Eden restored. Like the songs above, this one is very witty, but it’s also the rare song about the environment to acknowledge the sacrifices we would have to make to rescue the planet. On his song “Excuse Me, Mr.,” Ben Harper depicts a confrontation between the environmental movement and corporate polluters, but he wisely boils it down to a single activist confronting a single executive in his high-rise lobby. “Excuse me, Mister, but isn’t that your oil in the sea?” says the protester over a pulsing folk-blues rumble. “And the pollution in the air, Mister, whose could that be?” We don’t hear the suit’s reply, but we can imagine his haughty tone when the narrator responds in turn, “Excuse me, Mister, but I’m a mister too.” The story is funny and personal, but it implies a bigger picture. We can go back to dawn of roots-music recording to find singers addressing one of the country’s earliest ecological disasters: the Great Mississippi Flood of 1927. Like the floods and wildfires of today, this catastrophe was a natural event made much worse by shortsighted human decisions. A levee system increased the volume and speed of the water arriving in Mississippi and Louisiana from upriver, necessitating tough choices about where to siphon off the excess. It may not surprise you that the release was directed towards blacks and poor whites, who were then abandoned or even imprisoned in camps by the governments and landowners that made the decisions. There are other songs about the environment that I admire (Dave Alvin’s “Dry River,” Bruce Cockburn’s “If a Tree Falls,” Steve Forbert’s “The Oil Song,” Woody Guthrie’s “Dust Bowl Blues,” Randy Newman’s “Burn On,” the Pretenders’ “My City Was Gone” and the 10,000 Maniacs’ “Poison in the Well”). Perhaps you have your favorites as well. Every major shift in society is the result of two parallel transformations: changing minds and changing laws. If minds change without laws, the only result is frustration. If laws change without minds, the revision has no popular support to sustain it. Songwriters and musicians can’t enact laws, but they can alter minds. And they’re more likely to do that if their songs are personal, smart and witty rather than abstract, cliched and preachy. Once those minds are changed, it’s up to protesters, politicians and voters to translate those attitudes into legislation. The contrast between America’s two major parties on environmental matters is pretty dramatic. The Democrats out of power want to slow down climate change—their proposals may be inadequate, but at least they’re moving in the right direction. The Republicans in power have dismantled most of the few regulations we had and often decry climate change as a hoax. There’s a lot to think about when you vote in a few weeks, but there’s no more important issue than this one.